Onam is a traditional festival celebrated in Kerala, the southernmost state in India. Let us see the various interesting celebrations included for the festival. Regardless of the religion, almost everyone in Kerala state celebrates Onam even though the festival is based on Hindu mythology. This is because of the fact that Onam is seen and celebrated more like a harvest festival in the state. Cultural programs and events are organized and carried out across the state, but there are some interesting traditional activities people celebrate within the families or just locally. Those traditional activities are different from the otherwise regular activities like musical programs and other events. Before going to have a look at the celebrations, let us see the importance of the story behind Onam festival of Kerala. It is believed that so many centuries back, Kerala was ruled by a king named Mahabali who is also called as Maveli in short. Unlike other kings at those times, he was so kind and generous and liked by everyone in his kingdom. There is even a Malayalam song which describes how good those times were. People were treated equally, and they were all happy. There were no lies, or cheating or killings and there was not even a single case of death among the young. The place was so prosperous, beautiful and peaceful. How lovely is that, I don't think any place in the world exists like that today. So in remembrance of those golden times and the kind king, Onam festival is celebrated every year in Kerala during the Malayalam month of Chingam (based on the Malayalam calendar). The month of Chingam in Malayalam calendar is considered as the most prosperous time of the year, and most of the days in this month are considered auspicious for new beginnings. 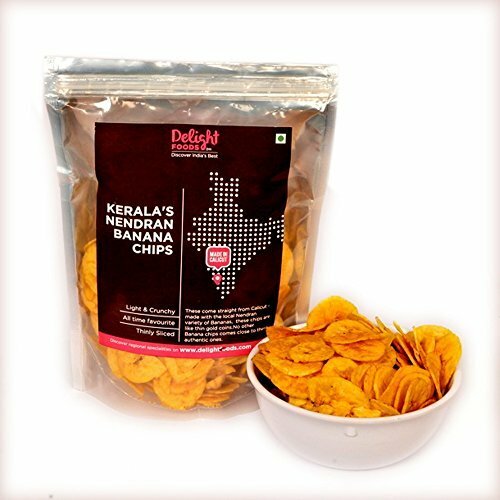 It comes in the autumn season and it is also one of the harvest times in Kerala which is a good reason to choose it as the month of prosperity and celebrations. People believe that every year around this time of the month, the beloved king comes to Kerala to visit his people. And so they celebrate and welcome the king hoping for prosperity and peace for the year ahead. Yes, every year ten days are celebrated during the month of Chingam, which usually falls around the end of August or the beginning of September. In 2014, the celebrations started on August 29th. The floral decorations generally known as the 'Athappookkalam' which is put on the floor, is a main part of the celebration. During these ten days of celebrations, you can see the flower decorations of interesting designs every where in Kerala. In families, usually girls will gather and collect flowers from the gardens and then put the pookkalam in front of their houses. Traditionally, one circle of flowers are put on the first day, two circles of flowers during the second day and ten circles of flowers on the tenth day. 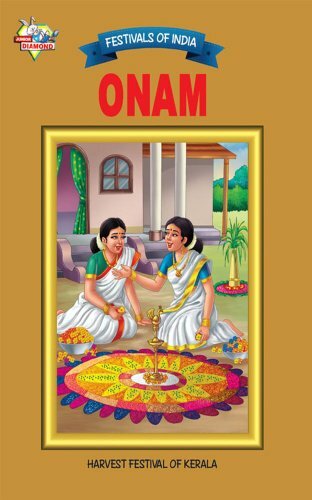 If you wish to purchase Onam greeting cards, click on the below cards which will take you to the product page in Zazzle. The cards can be personalized. To personalize the cards and add your own messages and texts, click on the "Customize it" button in the product page, and then edit the texts displayed in the text templates on the right side of the product page. Today, you can see the floral decorations for Onam even in offices and schools as part of the celebration. Contests are also conducted and prizes are given to those who put the best pookkalam. Even though the traditional flower decorations were circular designs, today people put them in many different shapes and innovative ways. Other than flowers, leaves and sometimes colourful powders are also used for creating the pookkalam. Hibiscus flowers, roses, jasmine, marigold etc. are some well known flowers that are commonly used for putting the designs. In fact, most of the flowers can be used for making the designs, but there are some lesser known flowers that are generally famous for Onam, and the most famous among those is the white leucas flowers. Thumpa is the Malayalam word for leucas flower. They are pure white in colour, but small in size. I guess they grew like weeds in Kerala that they were very much available for making the floral decorations. Thumpa is seen as a symbol of purity. 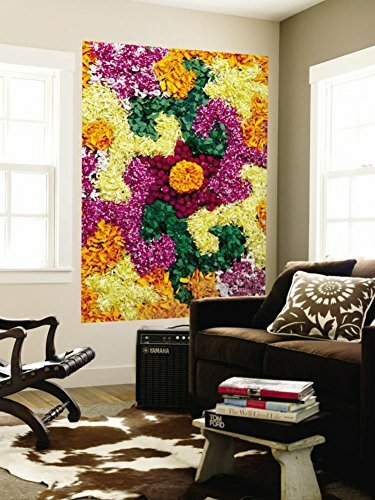 Some of the plants and flowers that were used for Onam decorations have actually become rare with today's urbanization. The traditional feast that usually has more than ten side dishes, and rice as the main food is usually served for many number days, both during lunch and dinner. Due to lack of time, now a days people have the feast at least on the Thiruvonam day and one or more days, whatever is convenient. 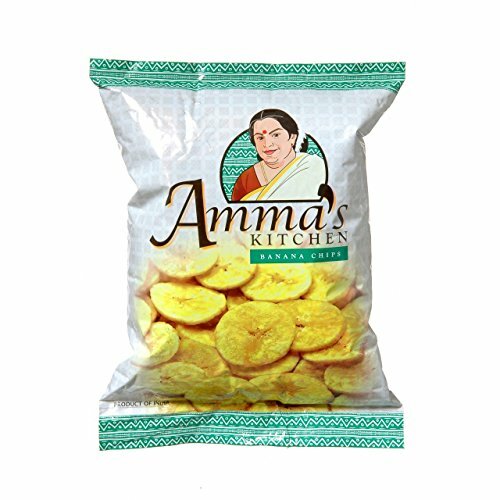 The feast known as Onam sadya, is served on fresh plantain leaves which are very commonly found in Kerala. Other than rice and the many number of side dishes, there will be desserts, pickles, fries and fresh ripe bananas as part of the feast. In some places, the number of side dishes even go up to thirty. The desserts are usually puddings based on milk or coconut milk, commonly known as kheer, or payasam in Malayalam. Traditionally, the ten day celebrations of Onam officially starts with the carnival held by the royal family in Cochin, located in the Northern side of Kerala. Interesting games and activities were part of the Onam celebrations years back. There were actually many number of games, but some of them have lost importance over years. However, today people try to bring them up more as part of uplifting the cultural activities. Vallamkali, Pulikkali, thumbithullal etc.are some of these activities. The boat race in the Alappuzha district in Kerala usually has hundreds of participants who race the snake boats through the lakes there, and every year so many people from around the state attend this event. This event is very popular and famous and attracts so many tourists. Pulikali can be translated as leopard dance while kaduvakali can be translated as tiger dance. Just like in fancy dress, people paint their bodies with stripes of tigers and dots like leopards, and perform group dance. An interesting folk art performed by women, it was an integral part of Onam years back. I don't know if this can be called dance, as women sit in circle, then sing together and enjoy. They usually hold bunches of white leucas flowers in hands. 7. Playing Onavillu is also an important activity in many places during the time of this festival. 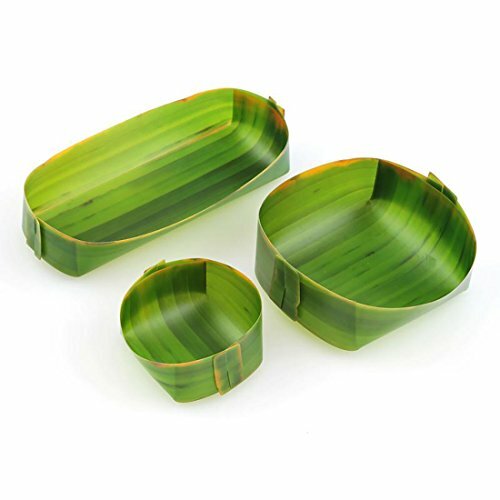 This is a traditional and local musical instrument which is especially played for the folk dance Kummattikali, where men dress up using leaves and grass and visit houses to give gifts to kids. 8.. In almost all homes where there is a yard, people make swings for kids. This is known as oonjal, and it is made from tree branches and ropes, and this is a very popular tradition especially in villages. Thiruvathirakali, Kathakali etc. are other art forms that are performed during the Onam celebrations, even though they are not specific to this festival. 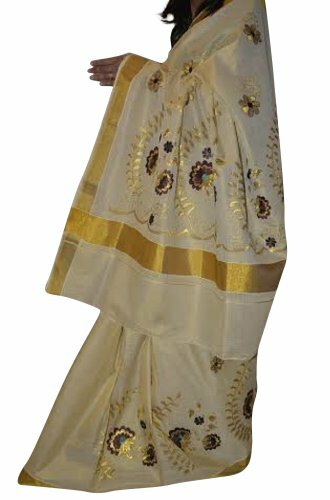 Onam is never complete without Onakkodi or new clothes. It is an important tradition that people buy new clothes for everyone in the family. Many people also gift new clothes to friends and also the poor during this time every year, especially for kids and the aged. This is the most important part of the celebration, welcoming Mahabali, to homes of Kerala on the tenth day. More than an imagination, it is a belief that Mahabali visits everyone of his people's home on the tenth day of Onam. Mahabali is also fondly called as Maveli or Onathappan. So how do people welcome him? 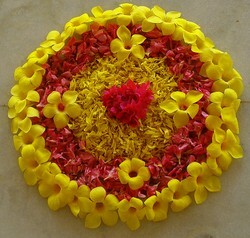 Traditionally, people put ten layers of flowers as part of the decorations on Thiruvonam day. And in some places, they also perform certain pooja or rituals as part of welcoming mahabali, and also decorate the centre of the floral decorations using tender leaves of coconut trees and other such things. A special steamed dessert which is prepared using rice flour and coconut is made and kept along with the decorations as part of the rituals. Also lighted lamps are kept in the centre of the decorations. All these are done to welcome Mahabali! In many places it is also a tradition that someone dresses like Mahabali and visits every home . And needless to say, everyone wear their onakkodi or the new dresses they got for Onam festival.and enjoy the traditional feast for lunch! It is believed that when Mahabali sees his people living in prosperity, he would return back happily. After the ten days of celebrations, two more days are celebrated in most of the places, especially by serving the traditional feast. Have you ever heard about Onam festival? Onam is a big celebration in Kerala, and the celebration activities may differ slightly in different regions of the state. The information I have shared here is what I know about the celebration, but I am sure there are more ways to celebrate it and there must be more traditions popular in other parts of the state. If you want to share anything more about the celebration, please share here! Thanks for this. I had not heard of Onam before. You write informative material in a clear way. VioletteRose, Onam sounds like such a wonderful festival, with a range of activities offering something for everyone, in addition to the lovely flowers. It's sad that some of the flowers and plants traditionally used in decorations have become rarities. I tend to think that those flora made special contributions, through color, shape, symbolism, etc., and that's why they were originally selected long ago. Thank you for spotlighting this lovely festival. Thanks EmmaSRose :) The ten day celebrations are usually carried out across the state by different communities and groups, and people mostly celebrate within their families on the Thiruvonam day. 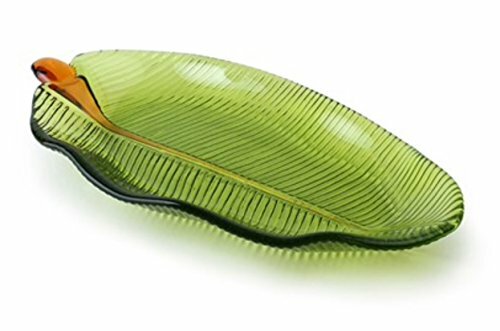 Deco Art Glass Banana Leaf Plate Serving Plate Large 11"